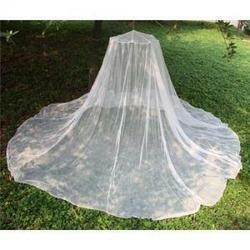 We are offering Medicated Mosquito Net to our valuable clients. Jabbar Mashari Stores was established in the year 2009. We are working as a Sole Proprietorship base company and operating our function from West Bengal, India. We are the leading manufacturer and supplier of Mosquito Net, Window Net, Head Net and many more. These products are manufactured by using good quality material. We are offering these products at reasonable rates.